WP7 phones will be able to support NFC functionality, including mobile payments, from next year. Windows Phone 7 will get support for NFC in 2012, Andy Lees, Microsoft’s president of Windows Phone, has confirmed. Microsoft announced support for NFC in Windows 8 in September. 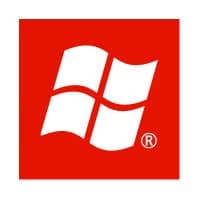 But this is the first time the company has provided confirmation that Windows phones, as well as computers, laptops and other devices running Windows 8, will also come with NFC. Phone partner Nokia is expected to launch its first Windows phones at Nokia World in London next week. The phone maker is a long-time supporter of the technology and is committed to including NFC in all its Symbian phones. Nokia has not yet provided any information on whether its Windows phones will include NFC. One of Nokia’s first Windows phones, however, is expected to be the Nokia 800, a version of the existing Nokia N9 which already comes with NFC. Microsoft collaborated with NXP to integrate NFC into Windows 8, but there’s no word yet on whether that partnership has now been extended to cover WP7 phones.